Wireless devices / Access point's manufacturer Identification basing on the MAC OUI database. 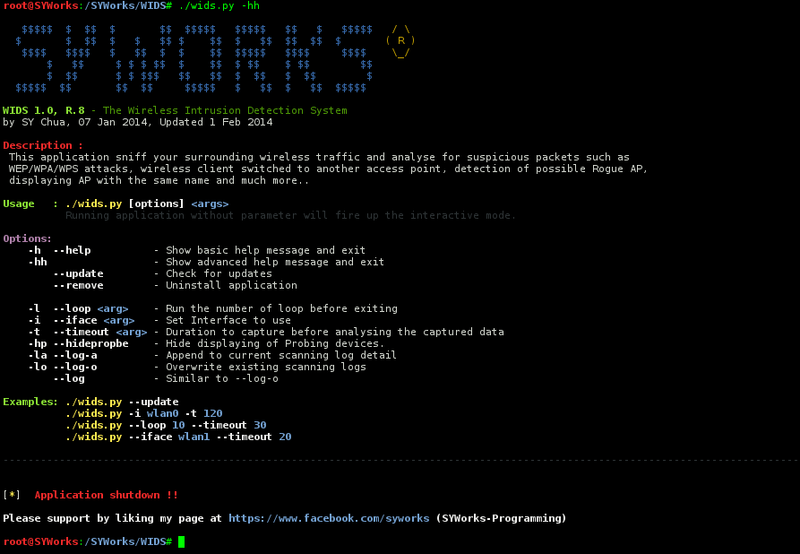 Visit https://www.facebook.com/syworks for other updated information and tools. Note: Application 3 - 5 are already pre-installed in Backtrack and Kali Linux. 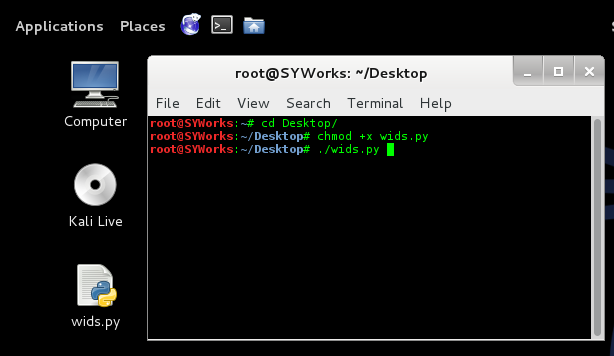 Save the file 'wids.py' to your Linux Desktop or any directory you like. For my case, i saved it on my desktop and enter the following in the terminal console. You can run the script at any directory by entering 'wids.py'. 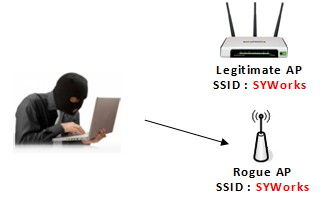 Once the script is running, it will detect the wireless interface that you have and if you have more than one interface, it will prompt you for response. Note : If you want to exit the script, simply hit on 'Ctrl+C' to exit the application. 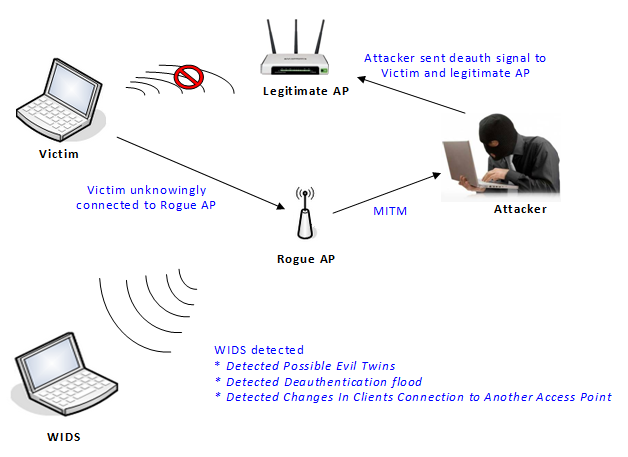 Korek Chopchop method is a method used by Aircrack-NG suite to attack on a WEP encrypted network. 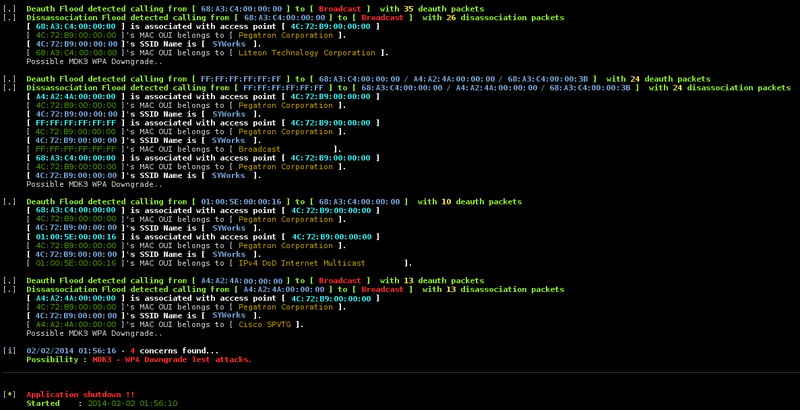 Basing on the unique signature in the packets, WIDS is able to detect such attacking method. Fragmentation PRGA method is another method used by Aircrack-NG suite to attack on a WEP encrypted network. 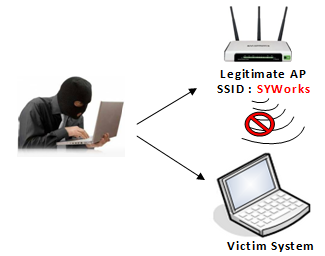 Basing on these unique signature in the packets, WIDS is able to detect such attacking method. Whenever a communication between a Wireless client and Access Point using EAP, their MAC Addresses will be displayed with the number of EAP packets were detected. 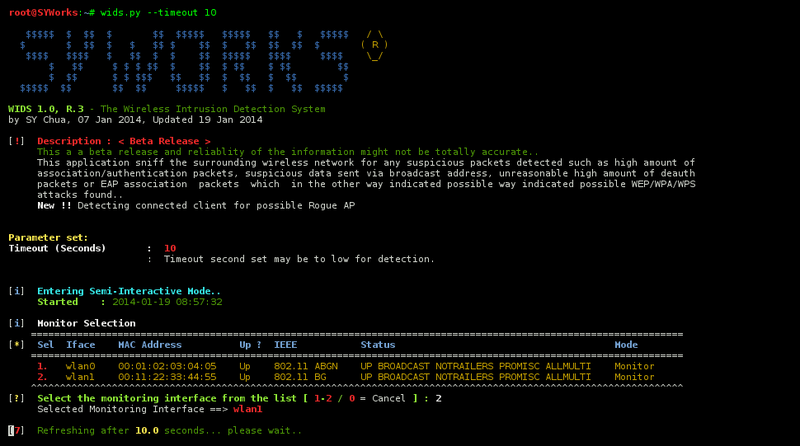 It consistent communication of such request, it is likely that a WPS Bruteforce is in progress. Such Rouge APs could be scripted by Airbase-ng, Pineapples, etc.. When a high number of QOS Data packet is sent to a WPA/TKIP encrypted network, there could be a possibility of attack by TKIPTUN-NG . 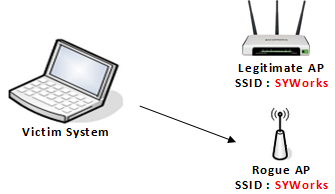 WIDS also allow to display detected wireless devices that probing for any SSID or not participating in any connection of network. 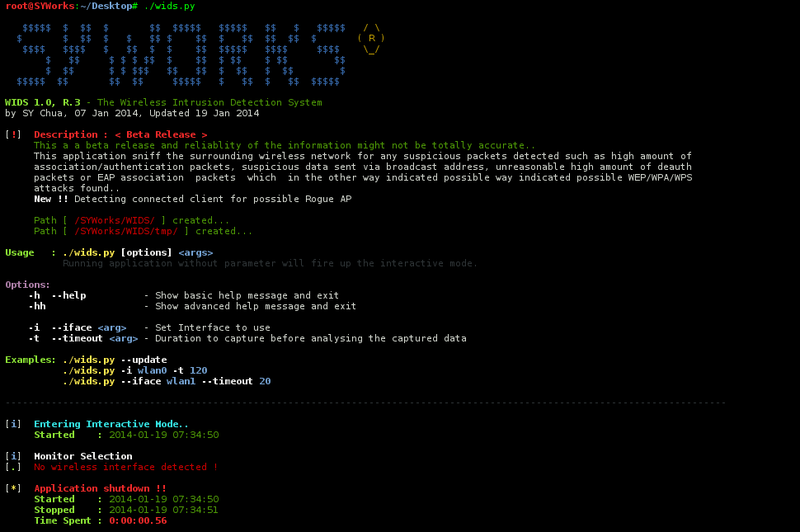 Enter 'wids.py --timeout ' to set the captured timeframe. Enter 'wids.py --log' to save all event to a file (log.txt) which can be found on "~/SYWorks/WIDS/"
Enter 'wids.py -l 1' or 'wids.py -l 2' ... to run WIDS only the specified times specified. Enter 'wids.py --remove' to remove the script should you wanted to remove the script totally from your computer. A big thanks goes to you . thanks hope u guys love it... releasing v2 WAIDPS soon.. stay tuned.. I Like it... thx for everything..